Mercedes-AMG has lifted the covers off the updated C63 lineup at the ongoing 2018 New York Auto Show. With the exterior modifications, the series looks instantly appealing as before and it is a good thing considering its popularity. The major cosmetic changes incorporated are revised air inlets and new Panamericana grille up front. 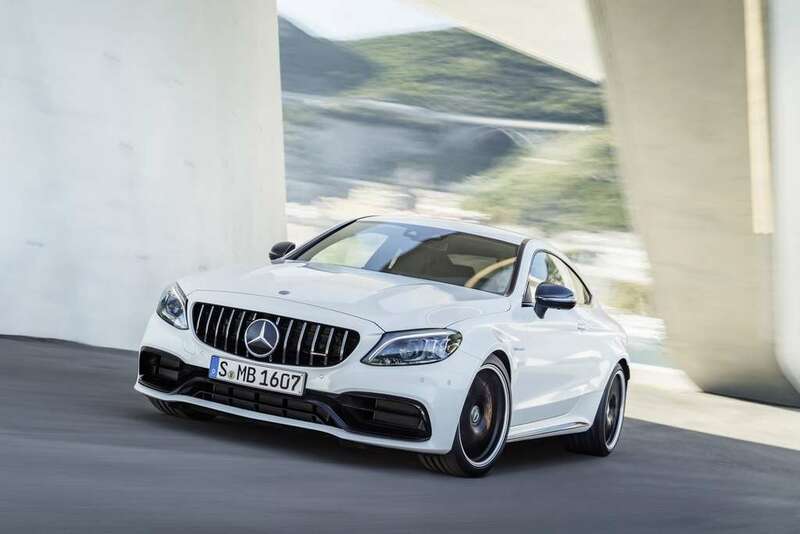 For improved aerodynamic efficiency, the 2019 Mercedes-AMG C63 lineup gets enhanced wheel arches and new rear diffuser, while a reworked exhaust system and 18 or 19-inch alloy wheels as well as a brand new rear apron complement in performance and aesthetic fronts. The German luxury automaker has made revisions to the interior as well. They include an updated 12.3-inch digital instrument cluster, touchscreen infotainment system with 7- or 10.25-inch options and leather-wrapped steering wheel with Touch Control facility for intuitive response like in smartphone. The interior can be had in dual-tone magma grey and black nappa leather upholstery with yellow stitching or in other choices such as anthracite open-pore oak and open-pore walnut. As for the powertrain, it features a 4.0-litre twin-turbocharged V8 engine which is good enough to produce a maximum power output of 476 PS and 650 Nm of peak torque. In the C63 S version, however, the engine is tuned to churn out 510 PS and 700 Nm. 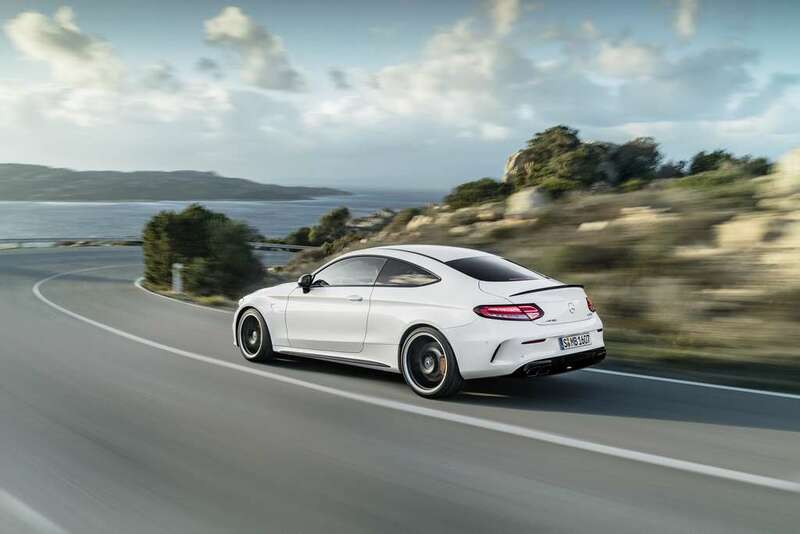 Despite no change in outputs, the engine is connected to a new AMG SPEEDSHIFT MCT nine-speed automatic transmission with quicker shift timings. The new Mercedes-AMG C63 can accelerate from zero to 100 kmph in just 3.9 seconds before topping out electronically limited speed of 290 kmph. 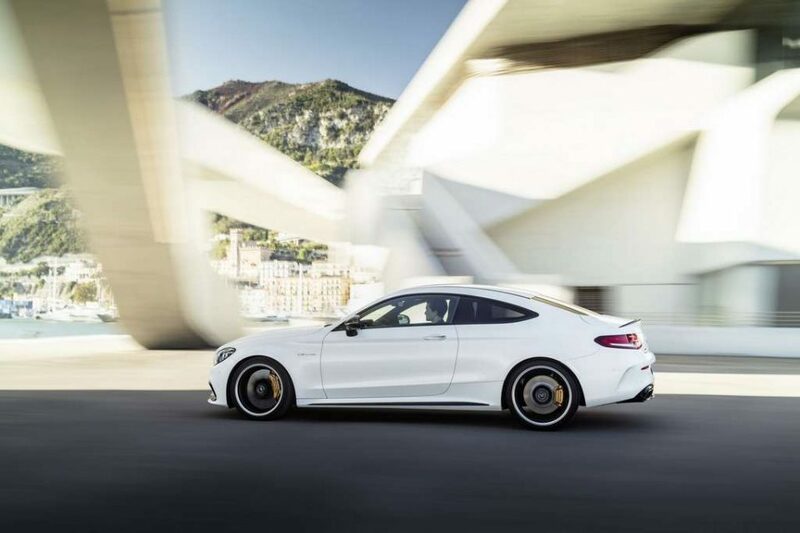 The revised mechanicals include an updated AMG RIDE CONTROL steel suspension with adaptive damping adjustment while as standard a new limited slip rear differential has been provided. The new AMG DYNAMICS system enables users to select different driving modes like Slippery, Comfort, Sport, Sport+” RACE and Individual. In India only the range-topping S version is retailed at Rs. 1.63 crore (on-road, New Delhi). The updated model is expected to reach our shores sometime next year.